Pay Rate: $16.00-$18.00/hr. depending on experience with potential for approved overtime. Integrating the components and auxiliary equipment into the automated work cell. Troubleshooting the electrical systems during debug and at installation run off will also be required. Travel will be necessary to follow a job through its entirety. Pulling, labeling & running single strand & multi-conductor cable through seal-tite and rigid conduit. Installation support at customer’s site. Must be able to travel throughout US. Must be able to travel with projects & for field service. Job requires approximately 20% travel. Third and Fifth of July, Christmas Eve, and New Years Eve may be mandatory working/traveling days. 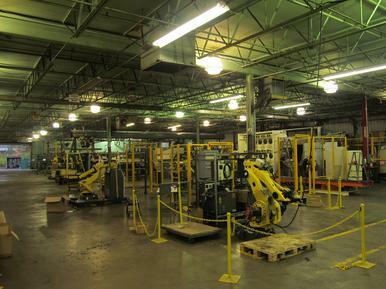 This position offers the potential for advancement into Robotic Programming via specialized FANUC Robotics training. Sick days – 5 paid sick days / year (first year prorated) (may be used for personal or vacation days).